Every job we do is unique to our client’s desires. 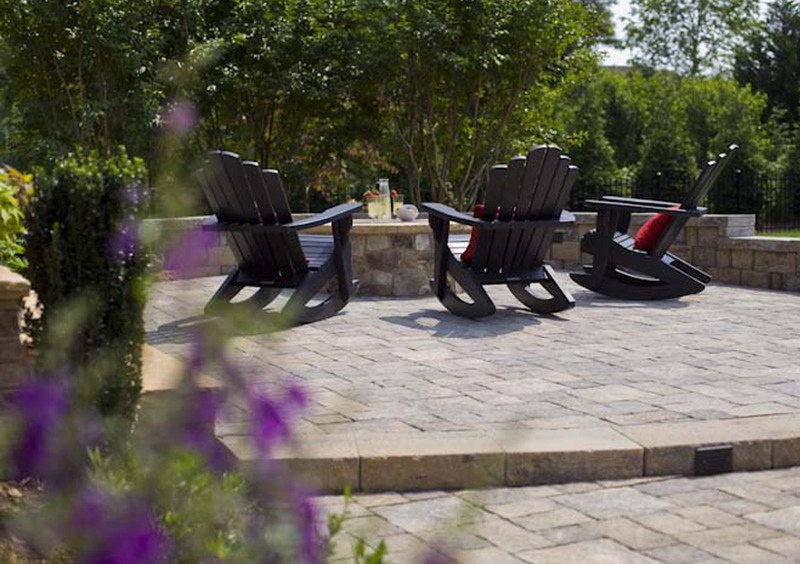 Let us create your perfect backyard getaway. 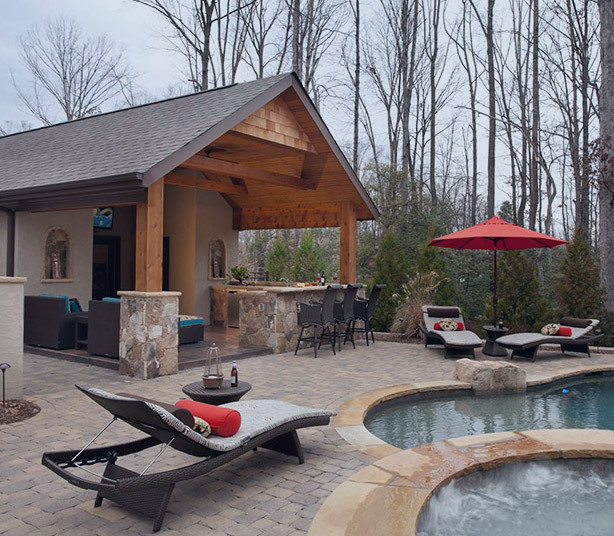 For all things surface, you can trust our hand-picked team of professional hardscapers. 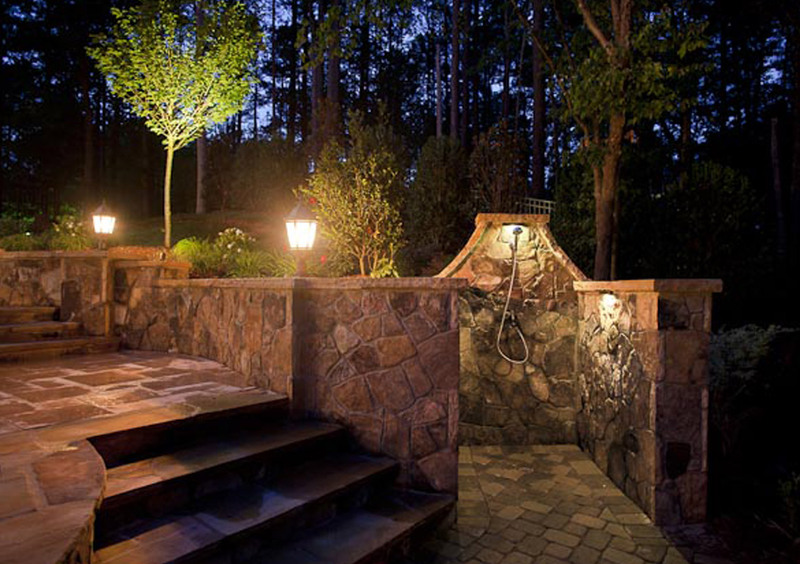 Structures, walls, and surfaces are crafted by our professional team of contractors with the highest-quality materials to guarantee stunning results. We can do it all. 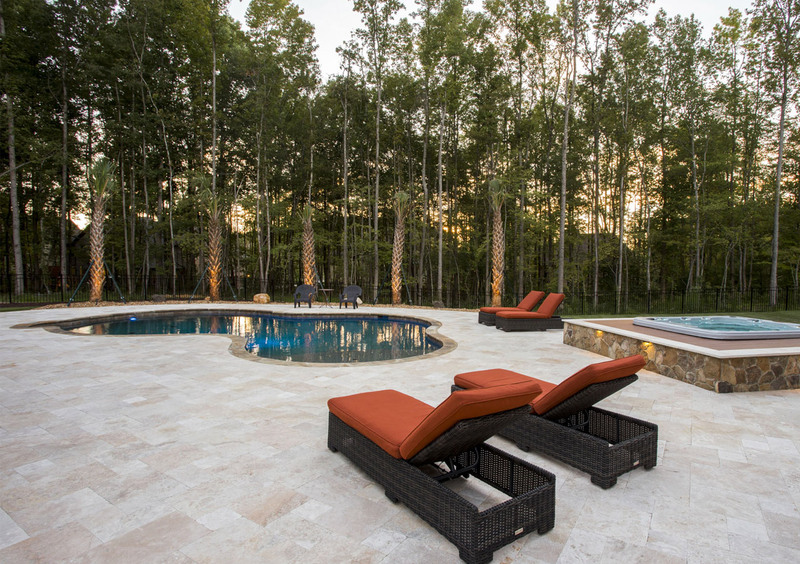 We can build with any material, including, brick, stone, stucco, blocks, and our specialty is working with travertine and pavers. 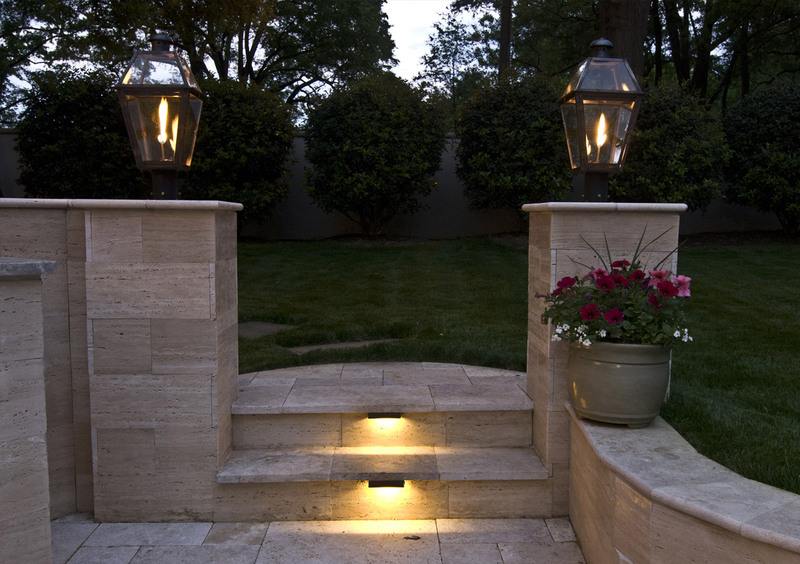 These materials create modern, aesthetically pleasing design while retaining an appreciation for natural beauty. 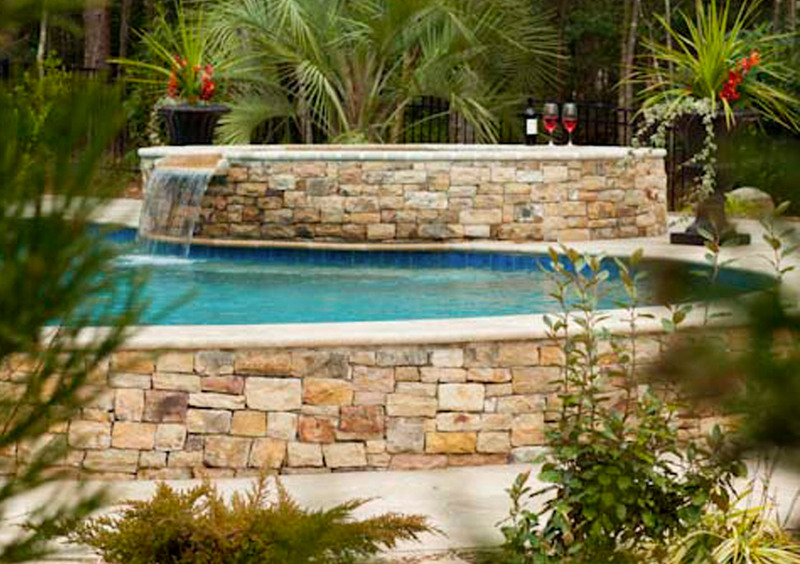 Retaining Walls add visual interest and beauty to your landscaping and hardscaping design. 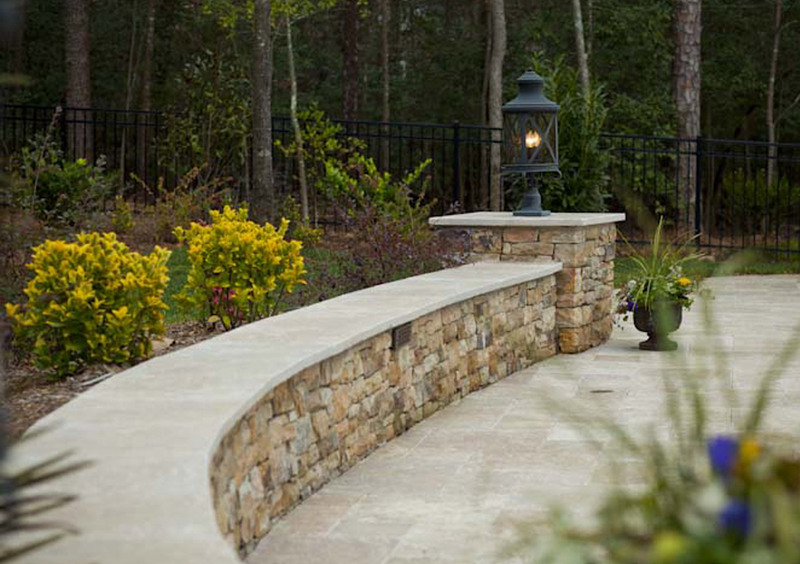 Our expert hardscapers build retaining walls to contain problem areas, add layers of beauty to your garden, and make the overall design inviting and multidimensional. 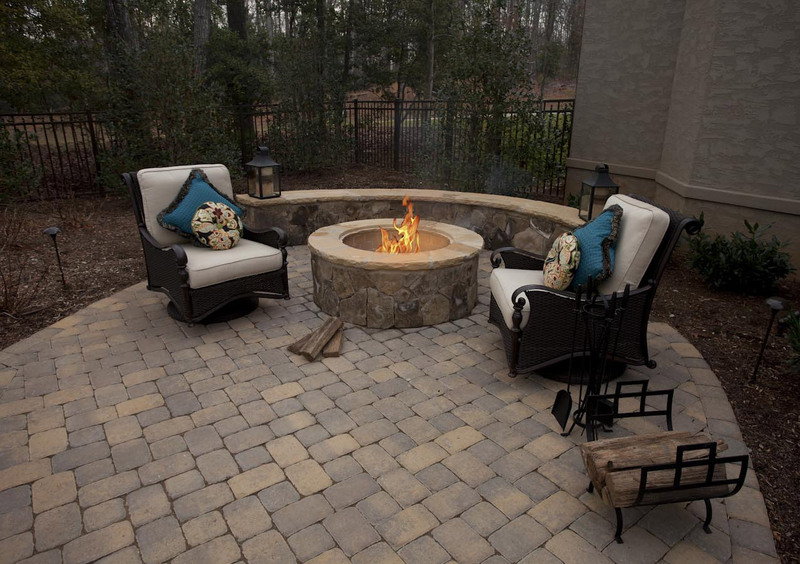 Our custom fire pits and fireplaces are the perfect spot to gather with your family. 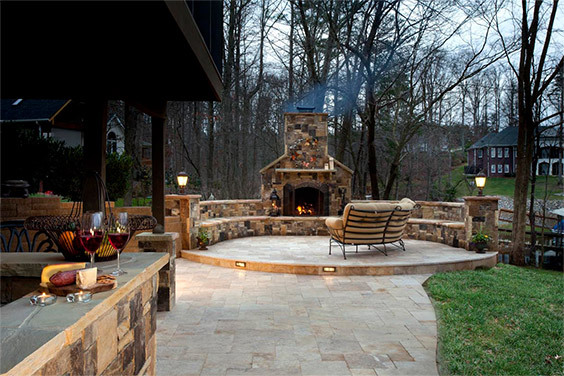 Our expert designs are brought to life by our talented hardscapers to make our fire pits visually stunning. Next time you roast marshmallows, do it in style.